Get a chance to go on radio in a safe and supportive environment. In this workshop we look at identifying your message, dealing with nerves, delivering a message with confidence. Each participant will record a short interview. Listen back for feedback. Suitable for community organisations, businesses, absolute beginners and those who want to improve their skills. This workshop runs over 1/2 day for groups of 4-8 people. We can tailor a bespoke workshop to suit your needs. Available as CPD Continuous Professional Development training. Get a chance to produce a radio programme in a safe and supportive environment. In this training we look at presenting skills, media literacy, different strands of media, media regulations and law, how to use the studios/ portable recorders, interviewing/research skills, production features, how to structure a running order and produce a programme. As part of the training with group will record a radio programme including different features. Get a chance to learn how to produce a podcast in a safe and supportive environment. In this training we look at media literacy, how to use portable recorders, editing, interviewing/research skills, production features, storytelling, Soundbites, how to structure and produce a podcast. Suitable for absolute beginners and those who want to improve their skills. 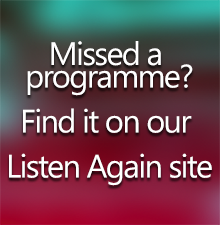 We would love you to stay involved after the training and to produce your own podcast on Near FM.